We talk a lot about culture in companies. People leave jobs or don’t get jobs because of a wrong culture fit. It is said that the culture of a company is established in the first 10 people that work there, and that after that, it becomes extremely difficult (and costly) to turn the ship. What we also hear all the time is how this always has to come from the top, that if the CEO and Directors and don’t do [insert requirement here], it won’t happen in the rest of the company. We always hear how it is the responsibility of management to be inspiring and motivating, to communicate effectively; lead. What we don’t hear very often – is the responsibility and accountability of the employees in a company. Where does that happen? You know the type right… we’ve all worked with people like that. Maybe you yourself has been someone like that in the past. It’s exhausting. Have you stopped to think that just maybe you boss has asked you to do something for a reason? That you actually are part of something much bigger and it’s not actually a personal attack on you? That you are paid to do a job and you are expected to deliver that to the best of your ability? That the work you need to do affects 15 people around you and your crappy attitude is making their lives a misery? That your lack of delivery because you don’t feel like it is making an entire department work overtime while they wait for you to provide your piece of the puzzle? That people roll theirs eyes when they know they have to deal with you and dread it? That you not following process has a knock-on effect on managing all the data, the billing system and getting accurate feedback to clients? Have you considered that your boss might actually be needing support from you, not your disdain? That your bosses have bosses that they need to report to? That even at the top of the food chain on Exco or Board level, those people are still accountable to clients and shareholders? That the top of the food chain guys have been to hell and back to get where they are and are not just raking in money on your back, that they have sacrificed everything to get there? Do you understand that if the company does not make money, you don’t get paid or you don’t get to have a job? Do you know how many bosses have sacrificed their salaries so you can get one in hard times? Do you understand that your spitefulness is causing people to go home in tears every day? It is so easy to scream and shout about what a terrible working environment you’re in and blame everyone else. If you don’t like something, move; you aren’t a tree. But staying in your job and making everyone else miserable is not on. 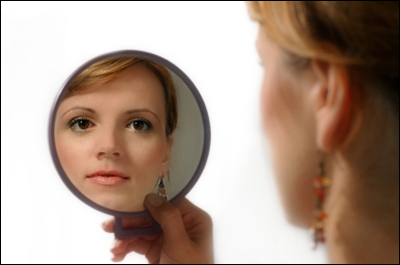 How about this week, you take a long hard look in the mirror and ask yourself these hard truths and see if it’s not maybe you that’s the problem. It is said that your world around is just a reflection of what’s going on inside you. So if you have a horrible boss, what do you do to other people that’s also horrible? How about for one week, you decide to have a good attitude and make your boss’s or co-worker’s day every day in some small way? Regardless of how bad he/she may be; this is not about them, this is about you. How about for one week, you do your job without complaining about it all day long? Who are you if you drop your story? How about for one week, you focus only the positive aspects of someone you don’t like at work? Give them a compliment every day (and mean it), instead of gossiping about them behind their backs. How about for one week, you refuse to be part of any gossip discussion? That you take a step back to realise you are damaging people’s careers and lives by engaging in gossip and if you are listening and laughing, you are part of the problem. (You do realise the person spouting all the gossip to you is spouting just as much gossip about you too right…?). Just excuse yourself and get back to work. How about for one week, you discuss ideas and possibilities instead of people? How about for one week, you have integrity of word – you do what you say and you say what you do? You deliver what you promised, on time and impeccably done. How about for one week, you take the time to understand somebody you don’t? The person not performing may be having serious personal problems and have no support structure they can rely on, you don’t know. Offer empathy instead of judgement. How about for one week, you make the effort to understand how what you do affects the people around you? How your piece of the puzzle contributes to the success of the company? Take the time to understand what your company needs from you and do that. The business world is hard on everybody. It can be brutal and cruel. But if every one of us just decided every day to have a good day no matter what happens, the whole system will get better and we can all have a better life. It starts with every one of us, no exceptions. “Be the change you want to see in the world”. You get to choose your attitude every day, no-one gets to decide that for you. What will you choose this week? Next Subfolder Hell on SharePoint?